The Japanese auto maker said production was recovering more quickly than expected after the earthquake and tsunami of March 11. Eight of the 12 Toyota models assembled in North America who returned to full production on June 6. Supplying auto parts to manufacturers throughout the world was interrupted by the damage suffered by Japanese companies for the double disaster, or the subsequent lack of electricity. 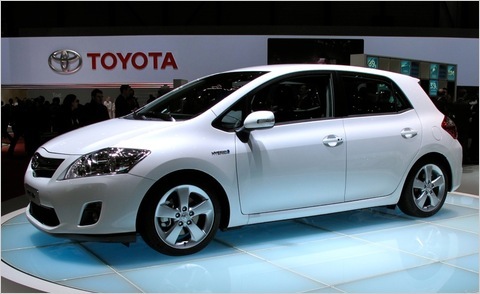 Toyota Motor Corp. was among the hardest hit. In May reduced its production to 30% of normal and warned dealers that have shortages of some models during the summer. Company officials said that after September, the automaker will focus on production to compensate for any possible.